"The Formula" Explains the Hidden Patterns that Separate the Best Seller from the Flop. Mini book read. New email subscribers will receive it as part of the weekly digest. Failure has become a badge, a rite of passage on our way to success. But generally-speaking nobody likes to fail, or even wants to think about it. We enter every project and new venture with a sense of adventure. It's easy to talk about failure from the gold medal podium. Western culture doesn't look upon people who fail to succeed kindly. Unless you can draw a line from failing your way up the ladder to more money and bigger glory, we're just not interested. Yet any study of success needs to start where things are not going so well. Albert-László Barabási, a self-professed tinkerer, started with disaster. A lifelong student of whore and how links form, Barabási loves to understand the math behind our social fabric. Numbers provide a framework for figuring out the essence of how we're connected. Hence, why the title of his book, The Formula. The subtitle explains what he set out to break down the mechanism that create success, hence The Universal Laws of Success. We find the same principles for influence—it's about the influenced. There are hundreds of questions we'd love to answer, from success to achievement and reputation. When I read a book, I examine the ideas in three ways—as a learner, as an author, and as a practitioner. Here's my take on The Formula. First as a learner—the book follows a logical progression. It starts with a personal introduction to connect us to the question, then the history of how he got to the structure. Barabási presents the scientific method he used to reverse engineer success based on the complex but consistently reproducible mechanisms that orchestrate positive outcomes. Before we can learn about something, we need to define what “it” is, what it means in our context. Hence the definition of success as “the rewards we earn from the communities we belong to.” Are you a collaborator? The recognition is important. Are we talking about a brand? Then visibility matters. Are you a business? Then revenue is critical. Do you hope to make a difference in any field? Then we're talking about impact. I love positive impact, it's in my Twitter bio for a reason. Then as an author—structurally, I look at how the information is laid out. Where does the book belong to as a topic? Does it include primary research or just secondary, or merely anecdotes? Does the evidence balance out the stories? The simple logical progression from first to fifth law is easy to follow. Questions underscore each chapter and help us make important distinctions. For example, between success and achievement. Both rewarding, but with quite different contributions to the substance of our lives. Each chapter begins with a summary of the law, which you can use as a shorthand to review the material later. There are no diagrams. You won't miss them. Third as a practitioner—here the most important question I ask is whether I would be able to incorporate the learning in mindset and practice. The book's design is to affect how we think about “success” and what we do with that information. It's like when you learn about the theory of flight, and understand the laws of aerodynamics. Or when you're learning how to drive and friction figures in it. For the boaters among us, it's about fluid dynamics. The Laws of Success are similar, says Barabási. We've got to use the insights that are appropriate to how we work. We've got to understand the forces that boost our performance, or we won't be able to repeat the outcomes. Overall, the book is fascinating. After the introduction there's a story, then 10 more chapters, each law taking two to explain, except for the fifth law, which has only one chapter after which is the conclusion. Several of the notes are worth annotating as well. Plus you'll learn how Einstein became the most quoted lovable genius. “How do networks—social and professional—affect our access to success?” In an age where it's become harder to be dis-connected than the other way around, this is a vital question to explore. Barabási says success is a collective measure, it's how people respond to our performance. We do a lot of performing in social situations, online and offline. To figure out how we're doing, we need to study our community and other people's responses to our contributions. It's a collective effort. We put in the work, the others put in the recognition. Of course, quality and competence need to be there. But if someone accomplishes incredible feats without anyone knowing... or appreciating, it ends up disappearing. They say the winners write history. A similar concept might apply to success. This is something Enrico Fermi understood well. As one of the first physicists in Italy, he learned German and English so he could publish his research in the journals his community of peer scientists read. Any of us has a hard time seeing the impact we have on our networks of family, friends, colleagues, etc. We'd have not to be there to see the control. Just like in the movie, It's a Wonderful Life. The exceptional rewards of athletes and celebrities are not linked to day-to-day performances. Instead, they reflect the cumulative visibility generated by their wins and losses. Performance is the starting point, along with ambition. What the data tells us, is that the difference—despite what parents think, teachers suggest, and principals claim—is not because the school enhances their performance. It's because high achievers continue to excel no matter what education a school offers. It's the superior collective SAT score of who shows up that makes the school superior, not the other way around. The student matters. Two Princeton economists studied the long-term factors of success of college graduates. They found that it derived from the best college a kid applied to, even if she didn't get in. Confidence and self-belief need to match strong performance. It seems obvious. But what if performance is hard to measure, like in art or the less tangible professional services? The meaningful connections we build around them shape out perception and determine the market price. You can go through each law and find examples of how it plays out in your life. It's useful to figure out how performance is bounded and success is unbounded to explain a lot about contemporary life. At some point, performance hits an upper ceiling. There's only so much we can do to shave a few seconds off our time, or improving product features. Beyond that point, it's the order in which we speak or present information that wins the day. Order determines who gets to “frame the key questions” at FDA approval meetings. Order also determines the higher probability of winning music competitions. If you plan to run in one, try to perform second on the last day. You get to set the tone in one situation, while in the second, you want to complete it. With a caveat, if you're a female performer, you'll rank two positions below males, no matter when you perform. This is social behavior at work in the form of gender bias. The reason why in music performance it's the last who reap the benefits is that the music is new to all at first. But by the last day, everyone's become familiar with it. Mystery solved. How many other instances in life have similar variables? Creative pitches? New campaign ideas? Job interview? You'll need to balance enough novelty of insight with familiarity to bring people along. Sometimes the diversity necessary for positive reception is about relationships. Two people who share a common, strong tie. Say, a colleague and a cousin. This is why it's easier to work with someone you've worked with before, yet might not know too well. The colleague and relative might get along fabulously, because they're both connected to you, yet not to each other. With persistence, because creativity has no expiration date. Thank Heavens. If you're willing to try repeatedly for a breakthrough, you will eventually have one. Actor Alan Rickman landed his first movie role at 46; Ray Kroc joined McDonald's at 53; Julia Child was 50 when she hosted her first TV show. It's not the idea in itself that counts. It's “your ability to turn an idea into a discovery” that makes a difference. Barabási and team call this the “Q-factor.” Success is the product of a creator's Q-factor and the value of idea r. When Q and r are both high, they enhance each other. Then they found something surprising, the Q-factor doesn't change over the course of our lives. However, there's a silver lining if you keep striking out. If your Q-facto is not resonating with your job, you might be in the wrong career. Match your Q-factor with your vocation, and your chance of succeeding will improve. I hope The Formula will give you better questions to succeed at whatever you're pursuing. Reinvention has deep roots in American culture. It's the land of pioneers, the place of the possible. If the current conversation has turned on itself, when we pan out with our lens, we can see the undercurrent clearly—“can do” is in the fabric of the many who made this the land of opportunity. Undercurrent is the name of Aaron Dignan's former charge—a company that evolved to help businesses develop innovation capabilities and pipelines. Aaron took his own advice and reinvented the work. Now CEO of The Ready, he and his team collaborate with businesses on their transformation journey. The next phase of work is about being ready for change. It's relatively esy to do when companies are small—agility is a form of survival—but when companies grow, their own structures and processes get in the way. What makes them strong becomes a liability as context changes rapidly. We need to be “brave,” says Aaron, and re-learn to adapt to ever changing circumstances. Autonomy is once again a hard-earned skill to navigate the hardened controls that make business efficient, if inflexible. These are the themes of Brave New Work, a long love letter to organizations and the people who want to breathe life into them. The book itself is brave—rather than offering the usual prescription, it sets the stage to open our minds to a different way of thinking. Work isn't working, but we don't have to keep sabotaging ourselves. We can reinvent work, and we should. When I read a book, I examine the ideas in three ways—as a learner, as an author, and as a practitioner. Here's my take on Brave New Work. First as a learner—the book is very accessible. The book starts with a conversation about the future, an introduction of the big idea follows, then a discussion about the change and its impact. Aaron has chosen an interesting metaphor to help us understand how we need to cross to the other side and embrace transformation. Any European is very familiar with the roundabout designed to help keep cars moving at intersections, rather than stopping them. Results may vary, but they depend on the driver's choices, and not on the driver's compliance with a traffic light. Then as an author—structurally, I look at the information and references, do stories, examples and diagrams / charts help lighten the cognitive load? The questions and framework are useful tools to explain the vision and bring readers along at the same time. Work, evolution, complexity, power and change are principally energetic concepts. The book examines some of these concepts, rather than assuming them, as so many authors do, to jump to solutions. How we get to where we're going is as important as the destination. Third as a practitioner—the grounding of concepts and the examples are useful to make sense of what's happening. It's simple to see how we got here, but it's important to figure out what we can do to improve our course. Permission is the most valuable application of the information. If we want to put this into practice, we want to know “it's within our control”. The two foundational mindsets, “people positive” and “complexity conscious,” are the unifying thread to keep us oriented as we examine each of 12 domains where we need to question and reinvent our approach most. Aaron describes the 12 domains as blocks in the Operating System (OS) Canvas, a framework that is the proving ground for the future of work. Overall, the book is an easy read. But this doesn't mean it's easy to do. Part I is the homework, Part II is the practice. Part III is the caution, which is super important to get. We often head into change as if it were easy, yet it's the most difficult thing we can tackle. Everyone loves to talk about change, but nobody like to be the person to whom it happens, and even less so, the person who changes. It reminds me of a cartoon (above). “There's no word for accountability in Finnish. Accountability is something that is left when responsibility is subtracted,” says educator, researcher, and policy advisor Pasl Sahlberg. It's not a word in Italian, either. The problem is that we do know better, yet we keep behaving as if we could control and predict the world. In the introduction you will learn that we describe our current frustration about organized work with the same words William J. Donovan, director of the U.S. office of Strategic Services (OSS) used at the end of the Simple Sabotage Field Manual in 1944. He was teaching agents how to disrupt day-to-day business operations. We succeeded. It seems that since as far back as 1910, everything has changed, except management. In a world that is always changing, where we're called to learn continuously, the organization's chart survives defeat. Every person in an organization fits in a box, we're spare parts with written rules about our duties and tasks. Yet, “the genius of the firm” happens “not inside people but between people,” says Aaron. The Ready's way of work reflects this insight. Our way of working—our operating system—is built on distributed authority, consent, and agreements, so we don't have to rely on positional leaders. Ecosystems evolve naturally to take care of the problems. Agility is a mindset, not a tool-set, says Aaron. We need to make our way back to it. Fredrick Taylor, who engineered the mother of industrial efficiency, figured out a way to make workers trade autonomy for efficiency. Once he found out how much it cost, he dictated his terms—a modest percentage wage premium in exchange for doing exactly as I say. Since then, thinking and doing bacame two independent work functions—managers think, workers do. We're still operating under this assumption. Purpose—can be socially positive or socially destructive. After all, the key difference between a charity and a terrorist organization is intent. Authority—the default assumption is that you don't have the right to do anything unless you are given permission. Structure—to accomplish anything, projects often require a marathon of communication and coordination. Strategy—is about where to play and how to win. But do we do things because they're the right thing to do? Resources—perhaps no other process is so respected and reviled as the annual planning and budgeting process. Budgets can actually work against performance. Innovation—every activity in the organization is a black box of potential energy. If every team isn't constantly learning in ways big and small, we're missing our chance to pursue our purpose with everything we've got. Workflow—is how we divide and do the work, the path and process we use to create value. Meetings—to meet or not to meet? Maybe we change the question to, how do we meet? Information—until very recently in human history, all information was trapped in someone's head, or on a piece of paper. This has led to a scarcity mindset. Membership—isn't binary, it's a social status, an identity, a living agreement. Not every employee feels the same level of loyalty, or inclusion, or participation. Mastery—think back on the time in your career when you grew the fastest. What were the conditions that drove that rapid development? Compensation—lacking purpose and meaning in their work, many professionals view their career as nothing more than a series of stepping stones from one job title and pay package to another. You can use the Canvas as a way to describe what happens in your organization, as a diagnostic tool, and as a path to imagine how things could be different. In organizations, “culture eats strategy for breakfast.” Behavior spreads through culture. We imitate what others do. Culture is not something we can control or design, it emerges from our behaviors. As much as we'd like to believe it, we can't change people. Anyone who's ever tried to manage their spouse or kids knows it all too well. “These days, a different ideal for organizations is surfacing. We want organizations to be adaptive, flexible, self-renewing, resilient, learning, intelligent-attributes found only in living systems. Only 26 percent of transformation efforts succeed, says McKinsey in a recent report. Front line employees actually think that number is more like 6 percent. If we can't change people, what can we change? We can change how we change, starting with what we do every day. The power to make a difference is in the present, not in some future outcome we can hardly predict. We can start small, learn by doing, then spread what works. It seems that all of a sudden, we've realized that humans, and not technology, are the point. Look at business titles, and you'll find the word “human” everywhere—human companies, even human marketing! But execution looks more like an excuse to learn more about my private affairs. I think it started when Fast Company declared: work is personal circa 1997. Twelve years on and the current climate feels like a dystopian novel—recruiting is broken, the mighty shareholder rules, and “at will” has become “at whim”. The policies, daily actions, and organizational structures remain attached to what used to work. Oxford economist Kate Raworth questions# whether growth is the solution to all our problems. “We need economies that make us thrive, whether they grow or not,” she says. Companies and economies expect demand and never ending growth. We've morgaged our future in the constant effort to just keep up. But we're not thriving. Can we get the future of work right? I hope you find Brave New Work as useful as I did. We try to avoid risk and often miscast uncertainty for risk. While they're both a fact of life, it's valuable to understand the difference between the two. Uncertainty and risk are related concepts in economics and the stock market. The concepts are related, but not the same. You cannot avoid risk, every act of creation involves it. Even not doing anything has a risk component. But you can learn to move away from uncertainty, especially when you're called to make important decisions. Since risk is defined as unknowns that have measurable probabilities, we can insure against it. But not all risks are insurable. Because uncertainty involves unknowns with no measurable probability of outcome. Risk has odds, while uncertainty doesn't. Causation is the dimension of risk we need to factor in our thinking, along with the behavioral pattern or risk frequency and severity. How often and how bad is it? 1. Financial and non-financial — can we measure it in monetary terms? 2. Pure and speculative — is the outcome always a loss, or could there be a gain? 3. Fundamental and particular — what is the relationship of cause and effect? Who causes it? Within this classification, however, things change all the time. Because risk is not static, it's dynamic by nature. Frequency and magnitude factor in the calculations. Where you are and the environment around you make a difference. Data on risk frequency and severity helps insurance companies figure out predictability of future events. It also helps the individual figure out the cost to insure. Severity or the answer to, “could this be catastrophic?” drives whether to insure or not. Risk, as first articulated by the economist Frank H. Knight in 1921, is something that you can put a price on. Say that you'll win a poker hand unless your opponent draws to an inside straight: the changes of that happening are exactly 1 in 11. This is risk. It is not pleasant when you take a 'bad beat' in poker, but at least you know the odds of it and can account for it ahead of time. In the long run, you'll make a profit from your opponents making desperate draws with insufficient odds. Uncertainty, on the other hand, is risk that is hard to measure. You might have some vague awareness of the demons lurking out there. You might even be acutely concerned about them. But you have no real idea how many of them there are or when they might strike. Your back-of-the-envelope estimate might be off by a factor of 100 or by a factor of 1,000; there is no good way to know. This is uncertainty. Risk greases the wheels of a free-market economy; uncertainty grinds them to a halt. The context Silver used for his comparison is the alchemy the rating agencies performed leading up to the financial crisis of 2008. They spun uncertainty into what looked and felt like risk. We lived the consequences of those decisions. In thinking about risk as dynamic, we look at probabilities. Frequency and severity are typically inversely proportional. Some things happen frequently but are not severe, some are severe but happen seldom. However, there is a type of risk that happens frequently with enough severity to warrant noticing. There are conditions or situations that are likely to increases the chances of a loss from a peril we've identified. We call this a hazard. Physical and moral hazards influence the likelihood or a poor outcome from risk. Hazards are like fuel — they can accelerate the gravity of a situation. Since we can identify physical hazards, we can insure against their variables. But what happens when we're talking about moral hazard? Character, integrity and mental attitude are not easy to measure. Behaviors can be unintentional or not consciously bad and still remain hazardous. There are rules and regulations that govern insurance to risk. But we've seen what happens when we overreach and accumulate too much risk. A collapse of confidence followed the last financial crisis that was catastrophic for many. To improve the quality of our decisions, we need also to understand the dynamics that surround risk and uncertainty. Our attempts to predict the future are too reliant on linear thinking based on past experience#. In a complex world, past data may not be as useful to forecast risk, things change fast. We're also limited in our ability to handle probabilities. Retired economist and Singaporean government official Lam Chuan Leong# says we can classify the way we think and manage events in a two-by-two matrix by combining the findings from Behavioral Economics and Complex Systems. Time and complexity are the vectors. When we're called to make decisions but have little time, we behave differently than when we have more time. In our daily activities, we decide using our intuitive system, automatically and quickly. Give us more time, and we can reflect on decisions. We use reasoning and analysis. In economics terms, this is the Rational Man Model of thinking. But this may not be enough. Cause and effect are not as consistent in complexity. But it's not just how we should think about risk that has changed. Our work has also changed. All the easy problems are taken, and problem-solving now involves few certainties and right answer. “We have to make sense of the problem by probing, experimenting, creating environments conducive to the generation of new ideas and new interactions, and responding to emerging patterns and behaviors,” he says. This in turn has changed how we manage in a complex world. As we're increasingly called to probe, sense and respond, we need to create an environment and experiments where innovative patterns can emerge. The increased levels of interaction and communication should be designed to generate ideas and options. Leaders are setting boundaries, barrier and incentives to encourage patterns to grow into coherence and general acceptance instead of merely executing the plan. We have a hard time identifying the most common pitfalls to logical reasoning. Key biases include our desire to rationalize into a story when we want to explain a decision, even though emotion is involved in decision-making, and anchoring — for example, start with a high number, and you're now willing to pay a higher price. We also have confirmation bias, we see what we want to see, and ignore evidence that contradicts our beliefs. People react to a particular choice in different ways depending on how it is presented — e.g., as a loss or a gain. While in the past we could rely on analysis and control of risk, we need new ideas and innovation to solve future problems. When we think about issues, we should take into account the environment where we operate and its complexity. Beyond recognizing our cognitive biases and acknowledging our time constraints, we need to take into account how emotions connect to outcomes in decision-making. Our Attention Filter has Ten Instinct-Shaped Holes in it. Learning What They Are Helps us Deal with Risk. We manage to ignore all the noise, including much potentially useful information and data on the facts, yet we pay attention to stories and snippets that trigger our dramatic instincts. That's because we get an emotional high from them. Our filter has ten holes in it. Hans Rosling named them in Factfulness. Fear is the most used among them — the others are gap, negativity, straight line, size, generalization, destiny, single perspective, blame, and urgency. Fear is hard-wired into our brain, we fear missing out (FOMO) and we have a strong fear of failure, making a mistake. We should learn to distinguish something that is “frightening” from something that is “dangerous”. One is perceived, the other is real risk. Trends help us create a framework around variables we track over the long term. In Megatrends, John Nasbitt says that each new technology, to be successful, must be coupled with a compensatory human response. Thirty years later, we can tell the trends because they endured in our culture. The three main categories of fear: are fear of physical harm, fear of captivity — as in loss of control or loss of freedom — and fear of contamination. They distort our worldview and lead to horror of things we don't fully understand or deal with in every day life, like infection and poison. When stories combine two fears, like that of a plane crash and kidnapping — tapping into fear of harm and captivity — we're pulled in. Then we get programmed by hearing it over and over again seemingly everywhere. This is a distraction that keeps us from learning the deeper data behind the story and taking action, if appropriate. Context helps us allocate resources as needed, including emotional energy. “Now is the time to understand more, so we may fear less,” said Marie Curie. Yes, there are still terrible and painful things happening to people and we should help and empathize. Yet the predictive story points to a larger trend that is cause for optimism. That is the story we want to let in our attention filter. The majority of the stories we get in the media are the local and familiar kind. They merge facts with anecdotes to share things that are of potential human interest, that connect with belief. They trigger us by appealing to our dramatic instincts. Sensational headlines draw attention, but distort reality and keep us setting apart what we know from what we don't know. Multiply by the avalanche of similar articles chasing attention, which include many containing false data, and pretty soon it becomes hard to tell a mimic from the real thing. Batesian Mimicry# is a form of mimicry where a harmless species has evolved to imitate the warning signals of a harmful species directed at a predator of them both. 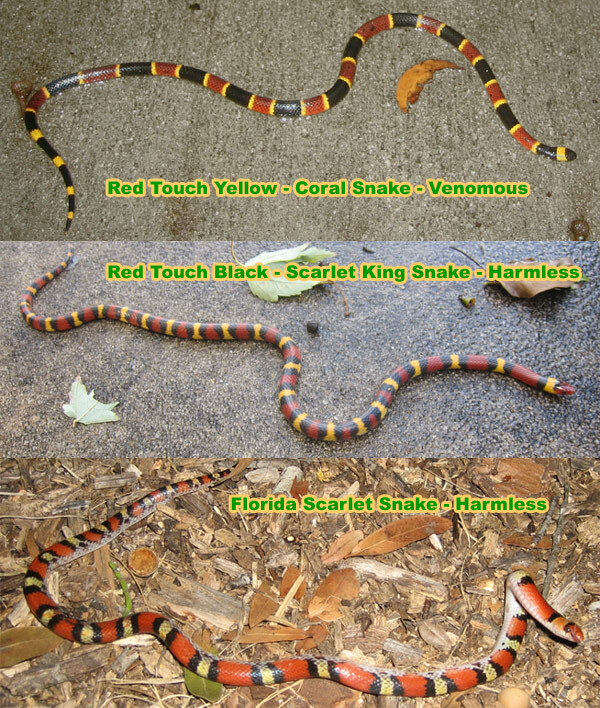 For example, we should avoid the venom of the Texas Coral Snake while the Mexican Milk Snake and other types of snakes that look similar# are not as bad. Beyond the things we already know, there are things we don't know we should know about. But once we're aware of them, we can learn those things because they're knowable. We can learn to tell the snakes apart, for example. Known known and known unknown are two instances of certainty. There are also things we know we don't know, we've identified we don't know them and others we don't know we don't know. The diagram from the Project Management Institute# calls out the nature of risk — uncertainty creates the need for understanding risk. Recently, I had a meeting with a group of executives who were looking to evaluate a number of approaches to deal with a situation that involved risk. They had created a brief that called both for preparation and optimization. After some conversation I realized that they already had some kind of expectation of what the approach would need to look like. Yet, by their own admission, they did not have a full understanding that the brief and the expectation where not on the same page. There was also domain knowledge uncertainty. Their attention was focused on short term tactics, yet the request was for a strategic long term approach. When the focus becomes not the topic but the expectation, the results is a disconnect. The hole (or more than one) in our attention filter leads us to confuse perception with reality. In Rosling's definition, risk equals actual danger times our degree of exposure. It's very hard to evaluate something when we have a hole in our knowledge and don't know we do. Said another way, risk is the possibility of suffering loss or harm, not the loss itself. When we learn to manage the sources of exposure to risk, including our own reactions (for example, fear) and experience with uncertain situations, we can begin to benefit from the opportunity brought about by change and creative problem solving. To manage risk appropriately, we should remember that if the nature of an occurrence is certain, it is more like a fact or knowledge, If it's uncertain (probability of is less than 1, for example), the impact can be uncertain as well. Evidence and data are useful in decision-making, they also keep us from stressing out and feeling helpless. Greater choice paralyzes us and makes us poor strategists. This is something we all struggle with in our work and personal lives. There are way too many options to choose from with too little time in a day. When we're done picking a technology marketing stack, multitasking, and ducking in and our of meetings, there's no energy left to pick a toothpaste. Do we really need hundreds of products with very little differences? Is it useful personally to become an expert in wine, cereal, and boxed pizza? When we're faced with a wall of choices, how do we pick? Is it worth to have a strategy? Users and buyers do have strategies, even when they're not aware of them. Organizations and brand strategies should go beyond the obvious — competing on the shelf and in the market — and get to the heart of what matters to customers by seeing what isn't there. Offers and price breaks typically work to sway us on commodity products. In other cases, we tend to trust a store brand — for example Trader Joe's label and Whole Foods 365 both have organic product families. Fewer options make them easier to select. Let them filter the choices. Most of us have but a few minutes to get what we need at the store at the margin of our days. Which means a few seconds per product. Maybe we look at expiration dates, maybe we scan the list of ingredients, but few wade into comparison territory. If we're researching and/or buying online product reviews do have an impact. Yet brands are obsessed with comparison — sometimes using the competitive set to get to a place of parity with others, rather than differentiation. Yet when we let brands filter for us, we do it on the basis of a very specific story they tell us, and we tell ourselves. Youngme Moon says most brands that focus too much on market segmentation and product augmentation, while attempting to create differentiation, have actually led to meaning less distinctions. Competitive analysis and comparative metrics have created conformity, resulting in competitive herding, with all competitors blurring together in the mind of the customer. Moon offers some high level ideas on creating effective differentiation. For example, subtract features from the offering, creating difference by stripping away the superfluous. Or polarizing, so that some people hate the offering while others love it. Clever marketers have also transformed an offering into a different category in the perception of customers. It's true that a clearer value proposition, a choice by the brand manager, is compelling. True differentiation, however, starts with a clear understanding of the market gap the product supports and the business model that supports the product. For the market gap we want to become very good at hearing what is not being said. Observing how people buy, learning what they talk about, and especially when they talk about our product with others — and we're not even in the room. Hence the importance of customer reviews for product/business intelligence. But could not say which 3 of the two dozen things on her list matters the most. Yet, it's those 3 that matter the most to the success of that unicorn in getting work done best. The multiple talents and plays at once unicorn is just that, a rare (and expensive) thing. Betting on a horse who can win a certain kind of race creates more advantage. Because that's how we buy products, too. In the end we pick the one that meets our top 2-3 requirements to get the job done and call it a good day. Google differentiates on the basis of a product and business model. Find what you need as quickly as possible. IKEA makes design affordable, you put in the labor... or pay a little more to have it assembled. [Organization/Product/Service] is a [adjective]+[short description (should include a term that describes the most important thing)] built for [who we serve]. Maybe our value is for experts, maybe it's to support everyday choices. How we do what we do can be different. For example, we ship a kit to your house every month#. Maybe we buy at a store that sells everyday items online unbranded#. With [Organization/Product/Service], [who we serve] can [job it does] + [core differentiator]. Or maybe we link the jobs to be done to customer segments. This works for businesses that sell to other businesses (B2B). Increasingly, users (the ultimate customers) drive the purchasing decisions of intermediaries as well. For example, installers care about ease of use of features and how they fit existing or complementary systems. Contractors may have favorites. Ultimate users, the customers who get an addition may care about price and availability, maybe deterioration rate. People with building product experience may know to look for innovation in air flow as well. Before we can sell a feature, we need to connect the user with the benefit at a deeper level. It starts by seeing what isn't there. People don't necessarily know or care to learn more... unless we lift the veil of ignorance of why it matters to them specifically. Culture is a also a factor. The people on the inside of an organization — product or marketing manager, engineering, etc. — may care about certain things. The people outside it — users, customers, social group, etc. — may care more about others. We must know the difference and plan accordingly. We often make decisions based on “good enough” information. Our brain is configured to make us act fast and without definite proof. Intuition uses what we call rules of thumb to select an item. The best experiences use this gut instinct to help us do the right thing easily. For example, the roundabout in many cities in Europe is designed to keep traffic moving, instead of stopping it. It works based on a simple rule of thumb — if anything comes from the right, you stop. Another example of a rule of thumb we use — if something feels too good to be true, it probably is. Nobel Memorial Prize in Economic Sciences Daniel Kahneman is notable for his work on the psychology of judgment and decision-making. He wrote about this phenomenon in Thinking Fast and Slow. “Good enough” is our System 1 at work, it can help us generate complex patterns of ideas quickly but may be too fast to draw good conclusions. Our slower System 2 gives us the ability to think things through. An automatic response to information and situations often serves us just fine in many situations. Human behavior is not mathematical. Yet, in our strategy discussions we focus mostly on the things that we can represent numerically. Instinct is grossly undervalued. Science has demonstrated that people act based on things like signaling. Companies and brands spend money to build reputation to signal they will be around for a long time. It might not matter as much for products we consider based on convenience and price — we have our online convenience stores, open 24/7, and the algorithm knows what to recommend. Individuals signal something with their purchases — we're environmentally conscious by buying an electric car or installing solar panels. Or we want to signal status with luxury purchases. Trying to appeal to reason with data is futile, we use data only to rationalize we made the right choice after the purchase. Often the brand story stops with the transaction, a missed opportunity to reinforce the story. Brands are proxies that compress data into a story. Inversely, what is the message when organizations don't invest in signaling? Experiences start with a story we tell, the why behind a product or service — vegan fast food, essential clothing without markup, designer eye-wear without breaking the bank, a modern day version of a roadside burger stand, ready to wear luxury, and so on. We do make impulse purchases, and our constant connection with a limitless inventory of options online means that availability at the point of need — right place, right time — is also a signal. This includes the impact to perception based on the company brands keep#. Not all decisions involve purchasing a product or service, but an idea. In many of these decisions, “fine” (or good enough) can include a healthy dose of luck, which leads to overconfidence. We're all prone to an exaggerated sense of how well we understand the world, especially experts, says Kahneman. Sometimes, good enough requires a slower thought. Tip to the wise: frowning is a simple way to engage our slower thinking System 2. When we become more aware of the interplay of the fast System 1 and the slower System 2 in our thinking, we can improve our odds of making better decisions. We also don’t make our decisions in a vacuum. As our context changes, our decisions may need tweaking, if not rethinking. Three things must happen at once for us to do something — 1./ we want to do it; 2./ we're able to do it; 3./ we're prompted to do it. The story provides the priming, how fast or slow we act depends on the type of prompt. Willpower can go only so far, and we can answer the design of a system that could lead us down a rabbit hole in search of more, with a system of our own design optimized for better. This means using System 2 to help us focus decision-making. Our thinking also has horizons. We live in the here and now, enjoying our experiences, and also think about the future, even when it feels distant and abstract. Both ways of thinking are important to realizing what we want in life — our goals and our dreams. Longer-term thinking tends to help us build a more flexible structure to absorb what life throws at us. Resilience is the ability to survive the shocks. Learning continuously and a longer horizon are ways to edge our bets. “All civilizations suffer shocks; only the ones that absorb the shocks survive,” says humanist Stewart Brand. In recent years a few scientists have been probing the same issue in ecological systems to understand how they manage change, absorbing and incorporating shocks. Imagine a series of layers, like a cake, each somewhat independent and also interacting with the one closest to it. Stewart Brand says all durable dynamic systems have such a structure with interactions happening between faster layers and slower (more core) layers. Mathematician and physicist Freeman Dyson makes a similar observation about human society. He talks about six time scales, with a twist — “the unit of survival is different at each of the six time scales.” According to Dyson, the individual is on a time scale of years, while culture is on a time scale of millennia. To survive, we need to juggle the demand of different time scales, sometimes in conflict with each other. Like every dynamic system, it works based on feedback. As we grow wiser, we tend to gravitate toward the slower layers, but we can continue to experiment and learn through the fast ones. Fashion is culture running around and trying new things. Hence fads, which come and go. Commerce is fashion’s enabler. It helps sift trends from fads. Trends stay with us for a while, becoming part of the fabric of society. The farther from the surface, the longer the payback. Education and science are infrastructure in this model. Culture moves at the pace of language and religion. Fast and slow are built into all life forms and human activities. Things that are fast lead to things that are slow. To give examples close to my heart, high enjoyment comes from slow food, smart travel starts with fast reach, la dolce vita sits on the surface of work mastery. Italian style is art with brains. Finding the answer of what works — the combination of fast and slow that works — happens with the help of time. A community of like minds and a network of connections do create a robust infrastructure to stay the course and absorb the shocks. Hence why we gravitate toward people who act like we think. In many cases it's difficult to know what people actually think, even for the people themselves. We look at signaling through story and experience. Thinking fast and slow, coupled with a “dynamic performance mindset,” as Dr. Constance Goodwin would say, creates the premise for the stuff that happens between thought and action — comprehension, synthesis, articulation, and conversation. We create the system for living fast and slow one moment at a time. Our brains are amazing organs — they allow us to infer information, get us to safety, solve problems, and imagine things. Some of these feats help save our lives, others merely assist in saving our face. We do dumb things, too, but we have something that only humans have — symbolic reasoning. While there's a lot we still don't know about the three-pound gray matter that sits as the body's command center in its armor, the hard skull, we do know a few things that can help us make better use of it. But before reading further, let's all take a walk around the office, house, or block. The brain appears to be designed to solve problems related to surviving in an unstable outdoor environment, and to do so in near constant motion. In fact, we adapted to change itself. After we were forced from the trees to the savannah by climate swings to find food. Switching from four to two legs, our energy freed up to develop the complex brain. Crawling and climbing helped our convergence for when we acquired a different view. If our operating system was to develop, walking and moving round 10-12 miles per day helped it along. Want to improve thinking skills? Move more. Exercise gets blood to our brain, which delivers glucose for energy and oxygen to mop up the toxic electrons left over from the process. It also stimulates the protein that keeps neutrons connecting. Two times a week of aerobic exercise cuts in half the risk of general dementia, and the risk for Alzheimer by 60 percent. Getting a dog is a good way to ensure long walks twice a day. And we get a loyal companion. Loss of sleep hurts attention, ability to make decisions, working memory, mood, (increasingly essential) quantitative skills, logical reasoning, and even motor dexterity. When we're asleep, our brain is quite active, maybe replaying our learning of the day. What happens in our brain is fascinating — cells and chemicals in constant tension between going to sleep and staying awake. Saying, “get some sleep” seems simple. But some of us require more sleep than others. We do all have one thing in common — the biological need for an afternoon nap. Research has found that a 20-minute nap between 2-3pm is optimal. Stress is our built-in defense system to avoid danger. Our brain's release of adrenaline and cortisol are life saving. Nature designed this kind of stress to be temporary. When it becomes chronic, adrenaline scars our blood vessels, which can cause heart attack, stroke, or do more damage to our ability to learn and remember. It's the one thing we don't want to keep long term, because it's designed to be a short-term response. A feeling of helplessness is the worst kind of stress. Emotional stress has the worst impact on our ability to function well. We're a combination of genetics and environment. Each of us develops regions of the brain differently based on what we do and learn in life. At two and in our teens, neurons experience a growth spurt and pruning, but no two people store the same information the same way... and in the same place. IQ is not the only kind of intelligence, many more are invisible in its tests. So not so good a measure. Hence why playfulness, humor, novelty, and emotion work. But 10 minutes is all we have. After that, forget about it. Whether our brains are different because or gender or not, which is still an open question, we're all better at seeing patterns and abstracting the meaning of an event. This is our faster System 1 at work to help us make sense of things on the spot. All those job descriptions that talk about ability to multitask demonstrate a failure to understand how our attention works — we can focus only on thing at a time. Even computers start rendering in the background when we try to open too many apps at once. Memorizing things works. Because our brain collects memory in busy work spaces that function like temporary way stations, repeating things helps us store them more permanently. The best way to make long-term memory more reliable is to introduce new information gradually, then repeat at timed intervals. Long-term memory is a conversation between the hippocampus and the cortex. Our process for making memories is similar to how we program artificial intelligence using machine learning. We have many types of memory systems. Explicit memory follows four stages — encoding, storing, retrieving, and forgetting. Incoming information gets broken down and dispatched to different parts of the cortex for processing. Each of us has only an approximate view of reality — we mix new knowledge with past memories to form our worldview. We take in information from different paths — sight, sound, touch, taste, etc. create electrical signals that go to different parts of the brain to reassemble and give us a sense of what happened. Past experiences seem to influence how we reconstruct reality. This is why two people witnessing the same event will have different stories. Our senses work together, which means that learning something through more than one method is best. Smell is the strongest recorder of past memories — it has a direct line to the amygdala, which supervises emotion. It takes up to 50 percent of our brain's resources and is not even 100 percent accurate. That's because vision has many steps. Our retina assembles protons into streams of information that look like a movie. The visual cortex takes them in to process as motion, color, etc. Then we piece everything together in what we call sight. Pictures are the best way to remember. Formal musical training improves intellectual skills in several cognitive domains, including the social sphere. This means a finer ability to detect emotion in speech, improving cognitive empathy and other social behaviors at any age. Music boosts spatial-temporal skills, vocabulary, picking up sounds in noisy environments, working memory, and sensory-motor skills. The X chromosome is a cognitive “hot spot” that carries a large percentage of genes that manufacture the brain. Females have two, males have one (and one acting as backup.) If you've wondered, are men's and women's brains different? Yes, they are in structure, but we don't know if this has significance. Women's genetics are more complex as the active X chromosomes are a mix of Mom's and Dad's. Men's X chromosomes all come from their mother and their Y chromosome carries less than 100 genes (the X has 1,500.) Our response to stress is different — women remember the emotional details, men get the gist. Watch a baby interact with the environment and you see how we learn. We observe, formulate a hypothesis, experiment, and draw conclusions. It's one and the same with the scientific process. Specific parts of the brain are in charge of each phase. The right prefrontal cortex looks of errors in our hypothesis, as in “that snake is going to bite us,” a region next to it tells us to “Run!” for our lives. Mirror neurons help us become better negotiators, as they allow us to recognize and imitate behavior. We can learn by experimenting at any age, because parts of the adult brain remain malleable like a baby's — we retain the ability to create neurons throughout life. Of all the things we know about the brain, these 12 principles will help us improve how we do things to make the best use of our operating system. 1. Move around more throughout the day — park at the end of the lot, take stairs where possible, have walking meetings, join a hiking, walking, running, or any outdoors activity you can on weekends or early in the morning. If you live in Europe, congratulations, you may able to take more public transportation, bike, train, or even walk to work. If you live in a city that is well connected through reliable public transportation, you can do the same. 2. Experiment with your circadian rhythms — often referred to as the “body clock,” the circadian rhythm is a cycle that tells our bodies when to sleep, rise, eat—regulating many physiological processes. We “open” and “close” at regular times during the day (circa means around, diem means day.) They're built-in, and they adjust to the local environment via external cues. But we do have predictable patterns. In When, Dan Pink reports on research that helps us figure out the optimal times for us to focus our attention to get which things done, when to sleep, and how to nap. During the day, we can pin down the best times to concentrate and use our sharpest analytic capacities, ideate, or let our imagination loose on a question or problem to get to an insight, and rest. Ready? To understand where to optimize your efforts, you need to figure out what time you go to sleep, what time you wake up, and the middle point. For example, you go to bed at 10:30pm, wake up at 6:30am, your midpoint is 2:30am. Then go find yourself on the Roenneberg chart below. Then adjust your tasks accordingly. Morning people (larks), do analytic tasks early in the morning, insight tasks in late afternoon/evening, and make decisions early in the am. Early birds can go to mid-morning for analytic and otherwise follow the same patterns as larks. Owls should defer analytic tasks to and make decisions in late afternoon and early evening, insight tasks in the morning. Everyone should prepare to make a good impression in the morning. Getting at least 7 hours of sleep is important. Naps are very valuable. Taking a 20-minute nap between 2-3pm has been proven to recharge us. 3. Sequence work, rather than multitasking — in my linguistic analysis of job descriptions, the use of the word “multitasking” is both a cultural/social signal and lazy. It's a mechanical way organizations use to regard work as industrial effort, which creates busy bodies and activity. But we know activity does not equal results. One good clue as to the culture is to calculate the number and format of meetings and analyze results or outcomes. It's lazy because no organization wants to create the perception people slack there (do your deep thinking in your spare time, already!) Broader culture dictates that hustling, grinding, and gritting are good and does not distinguish when it's appropriate to do so — timing and purpose are everything, in work, and in life. We can all benefit from having more data on hand about our habits. Diets are a simple example, and still relevant in January of a New Year. Regardless of which program works for you, part of it is creating more efficiency between what we consume and what we accumulate in the system. The word is appropriate, because we're talking about a system of interconnected parts. Although it's tempting to jump on the fad bandwagon and clean house every so often, the best approach to create lasting change and improve wellness is the judicious way, following a personalized nutrition program. What works for one person, doesn't work or apply across the board to the other. There are some universal principles we can adopt. So many calories in and more calories out if we want to lose weight. Counting calories by writing everything down is a way to become aware of what we consume, taking our weight weekly, a way to see outcome and adjust based on the information. But the principle itself has no information about what and how our specific body works. We may have allergies, experience intolerance for certain foods that although great for others, actually slow down our metabolism. Nutrition is a serious discipline that requires some study and research, but also experience i practice. And it's not just about weight control, but helping make sense of the chemistry, which comes down to knowing how to read the data, learning about our personal context (lifestyle), and cross referencing to data from a larger group of people. A new book by Lisa Mosconi helps us understand the relationship between our cognitive power and what we eat. In Brain Food (out in March), Mosconi, who unsurprisingly grew up in Italy, reviews brain science, the microbiome, and nutritional genomics, noting that the dietary needs of the brain are substantially different from those of the other organs. The benefits of a better diet are clear, and the answer is not fillers in packaged goods. It's always my test when I go to a supermarket — how many ingredients are listed on the package? Made in Italy is easy to tell, few and recognizable. In fact, whole grain and organic foods are available at low cost at Coop in Italy and even Switzerland (though everything is more expensive there). Nutrition value labels, list of ingredients, and place of origin are all data points we likely use when we go grocery shopping to make sense of what's available. How many of you go to more than one store or supermarket, as available? Four markets and two specialty stores are in my rotation, one fairly distant — but quality eating at a reasonable price is worth every penny in gas and time. Trader Joe's does have a surprisingly high number of products imported from Italy. We do love our simple food, and knowing what's in it. Imagine if you had visibility into what foods stores plan to stock across stores, instead of having to physically go (many still catching up online), and check. Many families build their weekly shopping routines based on proximity. What would happen if more data and information about inventory and even best times of day/week to shop were available for a certain geography? Most food chains have loyalty programs, yet until very recently there did not seem to be an intelligent use of purchasing habits — coupons were pretty random, and I'm not talking about Target and the famous case of targeting expecting women in The Power of Habit. From what markets stock on the shelves, we know what sells. But we don't know what would sell, were it available. It would be fascinating to learn about potential trends from foods people buy in aggregate, and forecast local taste and opportunity, for example. We can infer some of the data from restaurants — but in the U.S. things have become quite standardized, which is both good and bad for research purposes. The point, beyond the incontrovertible fact that I am a foodie — hence the aggressive exercise regiment — is that data is valuable to understand what makes a community, well, a community. Data geeks and industry professionals likely do collect all kinds of data on their household, maybe comparing with their family in other states of countries — we do — but most of us would benefit even more with a broader set, with evidence for their county, say. However, data sets sit with different companies in different systems, none of which we, the subjects, have access to it. So we could not even apply a better analysis and technology to it than what each specific company has chosen to use, which may or may not provide insights, depending on who is doing the analysis and why. It's a bit of a pickle, pun intended, because it could really help us make better decisions if we had more visibility into what's going on in our region. A good example of this dilemma emerged from Amazon's HQ2 bids. As the New York Times chronicles#, the tech giant benefited from a treasure trove of data on each community that submitted an entry. Each city put its best foot forward, outlining technical schools, number of faculty, access to specific demographics, and even adding discretionary incentives, normally not on the books, “special grant funds, special bond funds, naming of roads,” things nobody can find or learn, unless they're put together in a bid of this kind. It was a great way to start amassing data on physical assets otherwise not available to cross reference with digital data trails. But what about the communities themselves? This is also an opportunity for the community to do a deeper dive about Denver#, an entry made public. In fact, the difference between the Denver bid and a promotional site (see Philadelphia# for an example), can help us see the value of data, and not just benefits and sound bites, to educating a community and illuminating possibilities, beyond an Amazon's HQ office. We've become accustomed to data going one way, from us to organizations, and hardly think about the value of aggregate data to our own community. While anecdotal evidence we experience of what sells, how much construction is going on, traffic volumes, peak gym season, new schools, and so on, is useful, we tend to notice what is available — hence availability bias — and miss what we don't know. Better/more data is useful for so many decisions we make in life. Even the position of a house in a block can make a big difference to snow drift or foliage collecting on the lawn — small things that over the years do increase friction and maintenance. Same for where the windows are relative to sunlight, and how big a switch is your power on (hint: it it's small, pick a house on a switch with more houses, you'll have the power back sooner, or not even lose it.) Imagine now having the big picture on traffic trends for the past ten years — where they're increasing, which roads take the brunt, etc. etc. On the pragmatic side, we can start by becoming more aware of the positive role of data in our lives (and not just organizations' content cherry picked to appeal to us) and seek to be more observant, withholding premature judgment by cross referencing it with other data. If you'll pardon one more abstraction to the big picture, learning to think better starts with ingesting better data (vs. opinion), and cross referencing it across disciplines. Working from actual data and first principles is better. Sound bites can sound neat, but end up biting us in surprising ways. This is why it's a good idea to get as close to the source as possible — actually read Socrates, and Homer, and the classics from many cultures, the foundational works from many disciplines. We want to learn ourselves how to form an opinion, which involves principles, values, and proof. It's helpful to have a guide, but think of it more like cooking than baking. Don't stop at the recipe — better to use as a guideline to get curious about a dish, improve it by adding of personal taste and reference points. Simpler works for my palate, but this doesn't exclude layers of flavor. Now imagine that community is an organization, and the data highlights behaviors. Then imagine what it would be like to cross reference that data on behaviors with data about customer experience based on outcomes. How valuable would it be to learn what is helpful and what detracts in aggregate and cross reference it with outcomes? For more food-related metaphors, are conversations more like cooking or baking? Success is a product of the interplay between luck and skill. But we often confuse the two, or are uncertain about which one is which. For better results we need to be able to distinguish one from the other, ahead of time. Skill is the ability to fire knowledge readily in performance and execution. We know how to do something, and when the moment comes, we can do it. Luck has three specific features — it works for an individual and/or organization, it can be good or bad, and it's reasonable to expect something else could have happened. In The Success Equation, Mauboussin says that when skill is predominant in a field, the best course of action is to engage in deliberate practice with feedback and coaching; while when luck is predominant, he advises not to worry over results, because we have little or no control over them. Instead we should just focus on getting our process right to succeed long term. Even when we understand the definitions of luck and skill, we have a hard time attributing things that happen primarily because of luck to it. We're engineered to think it was us, that skill was responsible. “While most of us are comfortable acknowledging that luck plays a role in what we do, we have difficulty assessing its role after the fact. Once something has occurred and we can put together a story to explain it, it starts to seem like the outcome was predestined. Statistics don't appeal to our need to understand cause and effect, which is why they are so frequently ignored or misinterpreted. This is partly due to our brain. In the left brain hemisphere we have an area called “interpreter” that constantly looks to make sense of what happened in the background. It assimilates everything we perceive and interprets that input to form a cause-and-effect narrative within our sphere of self-image and beliefs. It doesn't know about luck, so it gravitates towards likely explanations and misleads our logical side. It doesn't help that we have a natural ability to act with confidence based on scant information. Hindsight bias, which tells us that what happened is the only thing that could have happened keeps us locked into our story. So we lose track of other potential explanations or possibilities. Which is why we're not very good at sorting skill from luck. Another reason makes the distinction hard. Skill and luck are not fast categories, but are on a continuum, says Mauboussin. For example, chess takes skill to play well and win, and gambling takes luck on the other end of the spectrum. For the rest of things that happen in life, we are caught between the two extremes. How we make decisions and predictions both depend on where we are on that continuum. When we analyze sports, we find that some have a higher luck component, like hockey or the NFL due to shorter seasons, and others rely on higher skills, like basketball. Baseball is somewhere in the middle, with 162 games in a season. Interestingly enough, investing is far on the luck side. It's counter intuitive because people are very skilled. But everyone else is also very skilled. So the variance or difference between results narrows considerably. The idea Mauboussin introduces is that in a new market or sport, participants have big differences in ability. Which creates opportunity for the most skilled participants who sometimes have extraordinary success. For example, the .400 hitters in the earlier days of baseball. However, in a mature market like investing, more skilled people have joined the ranks, and the existing participants have improved their abilities. Which elevates the overall skill but makes the difference in skill almost disappear. So the remaining variation is mostly due to luck. We can have more success with less skill if we're an early entrant in a market. So our best chance of success is to do something few others are doing, changing the game, rather than trying to beat the established players at their own game. This is where we talk about unfair advantage. Where we are on this continuum of skill-luck has enormous implications for decision making and predictions. The paradox of skill — In fields where skill is more important to the outcome, luck's role in determining the ultimate outcome increases. While in fields where luck plays a larger role in the outcome, skill is also very important but difficult to ascertain without a large enough sample set. IQ vs. RQ — Intelligence Quotient (IQ) is an overused talent measure for success because we associate the Rationality Quotient (RQ) more closely with decision making. Many people hide behind “good work product,” an IQ outcome, rather than evaluating “good decision making,” which is more about RQ. RQ involves adaptive behavioral acts, judicious decision making, efficient behavioral regulation, goal prioritization, the ability to be reflective, and proper calibration of evidence. The Matthew Effect — is the idea that the most successful individuals tend to grow more successful while the poor grow poorer due to the endowment effect of early success, which may be due to good luck and not just skill. Favorites should simplify the game — if we have superior resources, we should try to concentrate our battles in fewer fields than if we are the underdog. Various studies show that increasing complexity increases the role of luck and gives the underdog an advantage in competition while diluting the advantage of the stronger player. Fluid vs. crystallized mind — research shows that our fluid mind, the part of our brain useful for creative decisions when facing problem sets we have not seen, decreases with age at an accelerating rate. The crystallized mind, our ability to develop mental models for “problems we have seen before,” tends to increase well into old age. This is also true of organizations. Statistical analysis offers clear evidence that corporate performance follows a predictable life cycle, falling prey to organizational rigidity with age. Clutch performance — streaks have some empirical support but this topic hasn't been as well studied from a behavioral perspective as it has been from an observational standpoint. It's also important to recognize whether the process is dynamic or not and to understand how reversion to the mean works. When an activity is a mix of luck and skill, less extreme performances tend to follow extreme ones, good or bad. They tend to revert to the mean. If we praise someone for good performance, which then declines or if we tell someone about bad performance, which then improves, we might conclude it was because our intervention was counterproductive in one instance and beneficial in the other. But that would be wrong. Mauboussin also points out how incentives reward factors that are generally luck-based and have little to do with an organization's real success. For example, stock options can reward poor performers when overall market prices rise and punish good performers when overall market prices drop. If we want to improve performance we must be aware of our automatic pilot and create habits that help us get out of our own way in decision making. Discipline is our ally. The idea is not to have equal parts luck and skill, but to balance luck with skill and vice versa based on the situation and what it warrants. More on sorting luck from skill and how to expand our options.